Grafik Advent – Dec 6th. A new day on the Advent Calendar and 2 offerings for your viewing pleasure. But a down fall too. But lets start with the Positive vibes. Our first contender. 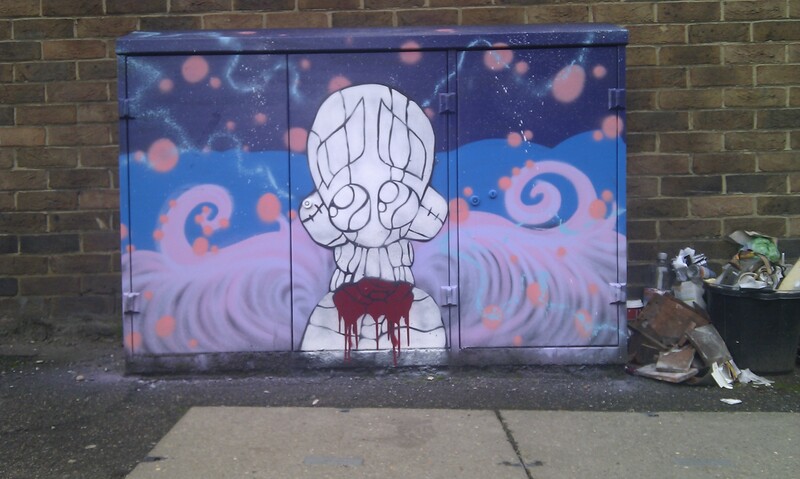 An ace stencil on a large box nr the Western Rd Area of Brighton, painted by Grafik Warfare’s mighty SNUB23. In true SNUB fashion, he wows us with an awesome background texture then puts his infamous Hammerstein Stencil on top. Super Sharp and So Damn Fresh ( to quote some legendary Ganga Cru!! ). Very tasty Indeed. 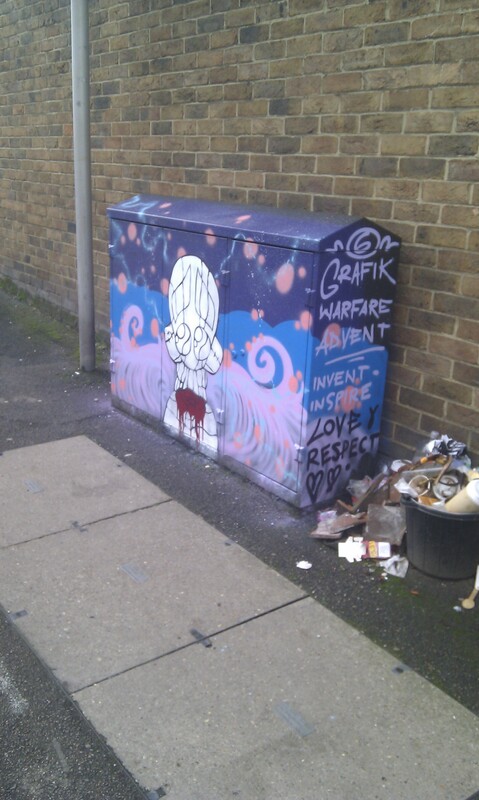 Then my slightly later offering of the RoseBot stencil on a smaller box in the New England Quarter. The Stencil on the side underneath my signature was already there. I just decided to go around it. I added the tag lines Invent – Inspire – Love and Respect and Knowledge and Freedom in response to the next bit of news. The bad news is that, whilst this was going on, the council were sent to remove the images on the boxes on Ann Street, as a lady complained that the project gave out the wrong message to children. 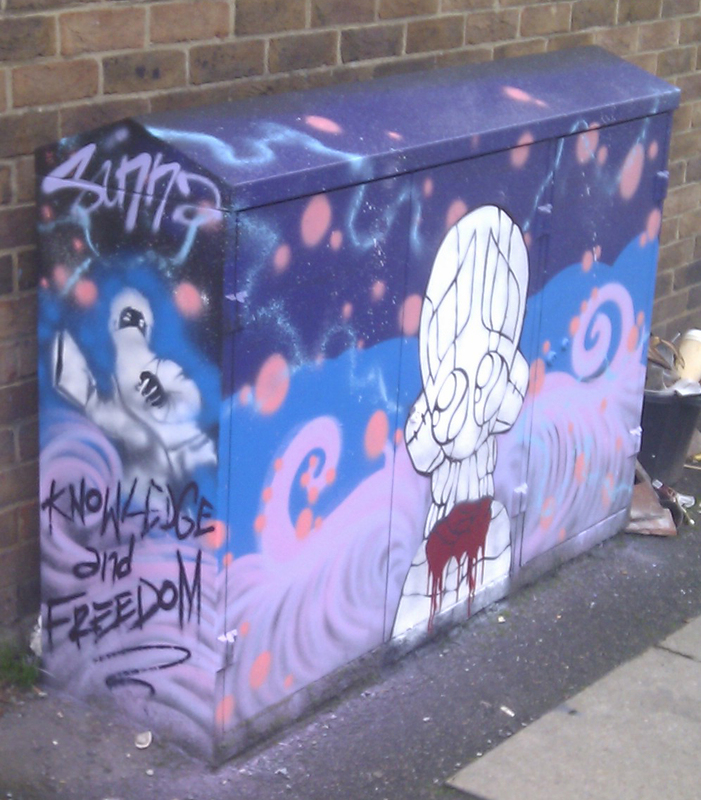 These particular boxes are outside of a primary school and the lady thought that they promote Graffiti and Vandalsim. 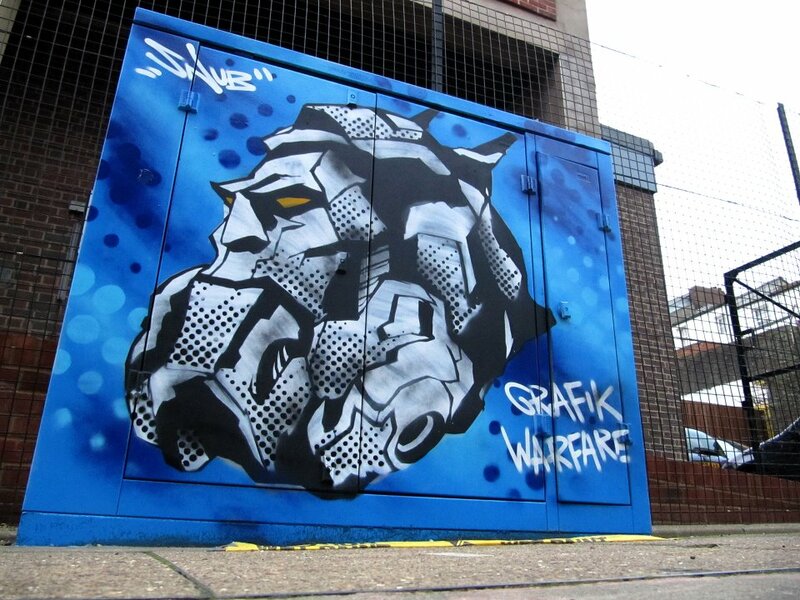 The fact that the project is designed to cover illegal tags and deter future graffiti on the boxes, as well as boost community spirit and brighten the place up did not appease her. 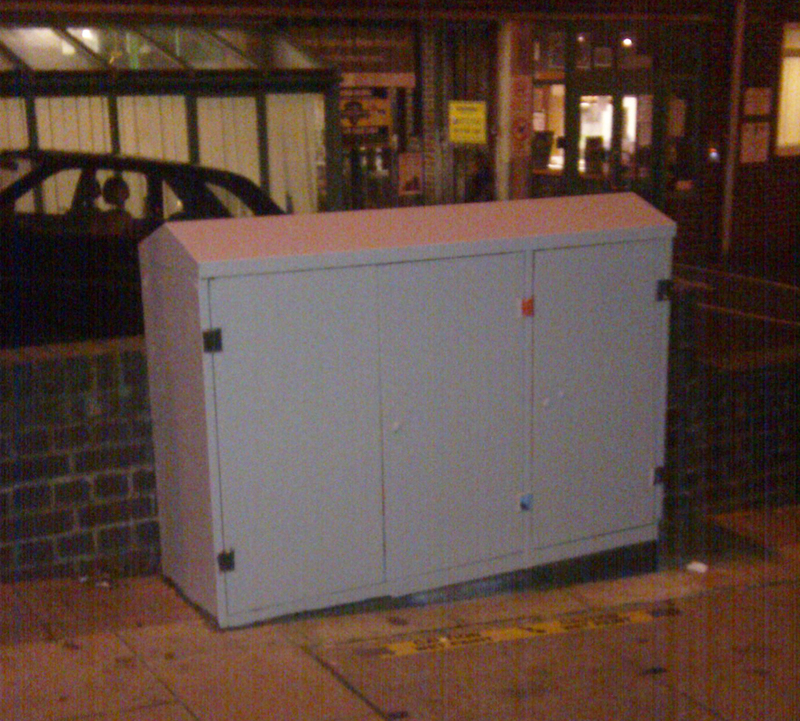 The boxes are now setting a good local community example by being painted a nice boring grey colour. Very much in the vein of the opinion and attitude of the lady. Grey and Boring. Not to worry though, plenty more to come.